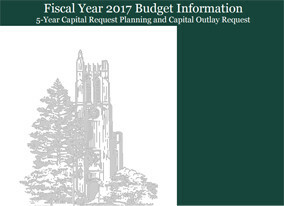 The Office of Planning and Budgets is charged with collecting, analyzing, and disseminating information about MSU. This page contains links to information that is relevant to the campus community and public in general. A budget briefing presented to the Faculty Senate February 19, 2019. Board of Trustees resolution and associated appropriation request for 2019-20. Budget Development Guidelines as approved by the Board of Trustees on June 22, 2018. Includes revenue and expenditure totals and tuition and fee rates for 2018-19 and 2019-20. Capital planning at Michigan State University occurs within the context of 2020 Vision: A Community Concept for the Michigan State University Campus. 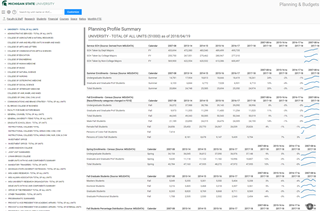 This comprehensive, multiyear master plan establishes the framework and direction for capital planning and will, with recurring updates, support the institution’s mission over the next 20 years. The MSU Statements: Data Digest is designed to provide comprehensive quantitative information about Michigan State University (MSU). 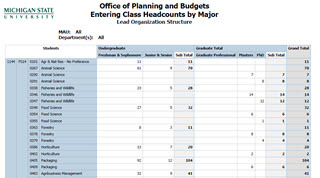 Entering class headcount and student profile data by semester. User-generated PDF report from Cognos. Aggregated data on faculty, staff, students, student credit hours, class size, research, budget, expenditure, and space metrics. Formatted to base year 1994 and includes the most recent four years of data in HTML version. Users can also select specific years, units, and variables using the University Metric Tools Excel workbook. 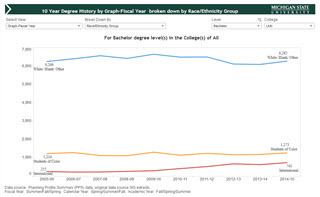 Course capacity, degrees conferred, and enrollment data by semester. 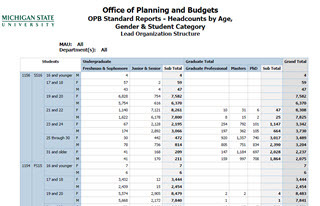 User-generated PDF report from Cognos. 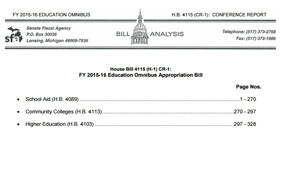 Summary analysis of the 2015-16 and 2016-17 higher education budget. 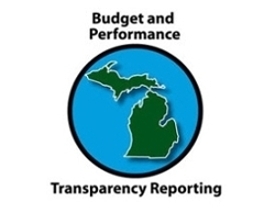 Consistent with MSU's commitment to transparency, and in response to the Public Transparency Website Requirement (PDF), find comprehensive institutional information across a broad array of operational areas here. University metrics including enrollment, persistence and graduation, graduation outcomes, financial aid, and budget. 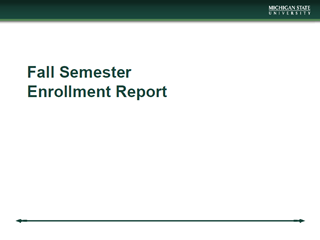 Annual Fall Enrollment report for the MSU Board of Trustees, 2018.